Do you know Pewdiepie? How about Michelle Pham? Your sons and daughters probably do. Pewdiepie made $7 million in ad revenue from his Youtube videos that show him playing video games. Michelle Pham shows how to apply makeup, and makes more than $3 million a year. There are hosts of musicians making a living on Youtube without the need for a record label. Some comedians are doing OK without ever having been on The Tonight Show. Millennials are not watching TV; They stream videos. The age range that watches the least TV is 12- t17- year-olds;18- to 24-year-olds watch a bit more; and 25- to 34-year-olds watch a bit more. The largest group of viewers is getting older. The young are comfortable finding their celebrities online instead of on TV. Why not their political representatives? What if a person made a Youtube video describing their vision for their community? And what if people watching dissected his views, then maybe created their own videos in response, resulting in a significant number of them forming a consensus? Then that group chooses one of their own to run for city council. They promote their candidate to their neighbors and friends on Facebook. Maybe others share their views with a few priorities of their own. They too choose to run for council and pledge to support one another. A new political party just formed – or perhaps a new movement within an existing political party. It would work on a national scale, as well. A great orator could make a series of Youtube speeches. If it struck a chord with others, word of it would spread via social media. View counts would record its popularity. The orator could have entered the primary in New Hampshire. He/she might never have to stump the state, just reach locals by supporters sharing their videos with friends and neighbors. Even a modest success in an early primary would build the reputation and send more people online to seek them out. Supporters could run for state houses, Congress and the Senate. The traditional parties would flood the airwaves with negative ads and pack the political talk shows with pundits hostile to the idea. The millennials might never see them, since they do not watch as much TV. As the baby boomers leave the scene, and the millennials and those coming up behind them seek their political candidates online, the power of the new party would grow. It is hard to fake being authentic when a candidate does his or her own social media. The millennials are adept at separating PR from authentic conversation. Slick campaigns will actually be a detriment. This model does not require large-scale campaign donations. There is no need for TV ads or mail pieces. All the promotion is done online where the millennial voters are. Meaningful campaign reform will be tough to get since those who benefit from the status quo are the very legislators that we need to make the change. This is a way to bypass the need for significant contributions at all. Sure, some consultants and social media experts would be helpful, but individuals donating with the $2,000 per-person limit could finance that. Anyone using PAC money would be a pariah in this new world of openness and transparency. When this concept started to mature to where I wanted to write about it, I googled “online political party” and was delightfully surprised to learn Canada has one. They have yet to get anyone elected, indeed get more than a 100 votes for most candidates, but it is beginning. Argentina has one too and came within shouting distance of capturing a seat in the legislature. Am I being horribly naive? Maybe. An online political party goes up against some of the strongest institutions this county has, ones that are very adept at fighting to retain their prerogatives. On the other hand, one strong message voters seem to be sending in our early primaries is they no longer want to rubber stamp the choices made for them by party elites. A year ago, who would have thought Jeb Bush would be out, Donald Trump leading and Hillary Clinton fighting for first place? The adoration of Trump and Sanders sends the message voters are mad and want to make their own choices. Politicians are learning to use social media to spread their word. The young are getting their news, relationships and making new celebrities all through social media. Why shouldn’t they find their new representatives that way too? Not only find them, but help mold the representatives’ views. That’s a topic for a future column. Do you have a church group, child’s athletic team, maybe a home-based business and you want to reach members, parents and customers? It used to be I’d suggest creating a website to coordinate all the information you want to put out. While that’s still a good idea, it is always best to go where the people already are. And today, that means Facebook, which has more than a billion and a half users. You most likely are one. Most likely a parent of every child on the team is on Facebook. I have a love/hate relationship with Facebook, as do many. I love how it lets me stay in contact with friends from different eras of my life and different parts of the globe that I otherwise would have lost track. And I hate its seemingly “big brotherness.” It is never quite clear what others are seeing about me. They see the likes I make, but who sees what and why is not always clear. And I do not see every post my friends make, as they do not see all of mine. Facebook’s algorithm for the feed is both a secret and Byzantine. Besides your standard Facebook feed, you can also create your own Facebook page. A page can be for a business, group, team, hobby or whatever. My vet has one that lists their hours, a map to their location and interesting posts that keep their name in mind. Our church has several pages supporting various ministries and letting members interact by posting questions, comments and other interactions. It costs nothing to create a Facebook page. As an exercise, I created one for the Family Tech column. To find it on Facebook, search for “family tech newspaper column.” Someone already beat me to the Family Tech name. When you have a Facebook page, the owner can see how many people have liked the page and who they are. People who like the page will see some of the posts in the feed and all of the posts in their page’s feed or if they visit the page directly. For the page owner, if you want a post to reach more of the people who have liked the page, you can pay to promote the page or post. Also, you can pay Facebook to run advertisements showing your page to those who have not already liked it, encouraging them to visit it. There are two big reasons to have a Facebook page. It lets your members, team families, or in my case, readers, have a place to interact and learn about activities, games or new columns and Family Tech resources, respectively. It also shows up if people search for your kind of service or group. It can bring you new members, customers or whatever. If you search in Facebook for “veterinarians Woodbridge,” it will show you the pages of many local vets. Facebook’s algorithm won’t show all the posts to everyone who liked a page. There is a way you as a user can see all of them. If you go to a page you like and you wish to see all of the posts in your normal feed, then go to the like button you clicked when you first liked the page. It has a down arrow. Click the down arrow and a set of choices appears. In the notifications section, choose “All On.” Now, every post made on the page will appear in your normal feed. I did that with the InsideNoVa.com page long ago to make sure I didn’t miss any local news. If you are a page owner, you should have a post on your page encouraging members to make the notification change and explain how to do it. You should probably put that post up once a month or so to reminding new users to do it. You want to get the word out to build your audience and get the most bang for your efforts. Page owners can create tabs on their pages to add more information and resources. For inspiration, check out some of the pages of larger companies to see what their social media people have put together. Expect to see this column’s page change over time. But right now, please find the column’s page and like it. If you can’t find it, check the link post below. Apple's in the news now for opposing the government from requiring they build a back door into their phone software. I wrote about this as my first column of 2016. And here is Apple's recent statement. This column will appear online Saturday, February 20th, 2016 at 9 AM EST. It is available before in the February 19th issue of Prince William Today on sale at these retailers beginning this Thursday, February 18th in the afternoon. How those who have Liked your page, can see all of the posts from the page. One of the reasons many online services are free is they are automated to the hilt. Removing people from the process saves vast amounts of money. Microsoft charges for Office and has an army of support reps to help out on the phone. Google offers Google Docs for free, but it has no one for you to call if you cannot format your document. What happens if you have to speak to a person? A friend once contacted me and said her child had been bullied at school into behaving in an embarrassing way and the bully had posted the video to Youtube. To the casual viewer, it looked like kids being goofy. It was not apparent the kid in the video had been coerced into his actions. To the child’s parent and the child when asked, it was a humiliating recording. Youtube has a report button, but who knew how long it would take for a person to review the flag? And you flag the video from a list of choices, such as violent, sexual content, repulsive, etc. There was no space for explaining the reality behind the video. If you search Google, you will not find a phone number easily. There is no customer service department I could find. Finally, I came across some legalese about Google services and buried deep in a 30-plus page document, I found a phone number for the legal department. Within the hour, she got a call back from a nice attorney at Google. The video was removed. Recently, my wife received a text from Uber, asking her to complete a driver profile. The problem was my wife never signed-up with Uber as a driver, nor did she have its app or an account as a rider. In the text, it shared who the person was by their first name and a suggestion to “stop in,” listing a particular city and state, to complete a background check. She sent Uber an email asking it to remove her phone number from its database. She received an automated response that began with, “Sorry to hear about the unwanted text messages you are receiving from Uber” and asked her to provide a number she would prefer to use or a screenshot of her phone from the settings menu so it could take care of it. She refused. A frustrating email exchange between my wife and someone at Uber, who may have been an automated script responding to emails, ensued. It was sort of a new circle of hell for today’s high-tech world. Uber removed her number from its database. Another time, a text I sent my wife from the Google Hangouts app was delivered to her 32 times. Online search of its help pages didn’t offer any help, oddly. Apparently I had discovered a new bug. But then I saw a Google+ post announcing a new version of Hangout. The author was someone I’d known since he’d been an intern at my then-employer during his senior year at Stanford. I sent off an email, and he was happy to help. They’d heard of this, but I was able to give his team access to my account so they could review my data and fix the problem. But how often do our problems have neat solutions like this? So the moral of my story is: Know there are some nuclear options available if you cannot get help any other way. Use them sparingly so as not to diminish their effectiveness. If your problem is one that could have legal ramifications for your vendor, seek contact information for its legal department and use it. Do not threaten, but explain your issue calmly and with as much information as you can. It will see the legal threat and hopefully help you as Youtube and Uber did. If you have technical issues that seem unique and you cannot find information about similar problems online, then address your questions where the developers or support staff of the product will see them. Certainly ask the question of other users on Reddit, for example, but mostly make an account on the app developer’s own support forum and ask the question there. If they have problem reporting, open a ticket there and report the problem. Asking the question publicly can also get you help. Join Twitter and find its Twitter handle. Ask the question there. Comcast has a Twitter account that is kind of its special operations customer service department. Telling @ComcastCares of a problem makes the problem public and often gets a fast and favorable response, or so I’m told. It is too bad that companies make it so hard to get help from a real person. I guess in many cases we can’t expect to have our cake and eat it too: that is, receive free or low-cost services and an easy solution to problems when they arise. This column will appear online Saturday, February 13th, 2016 at 9 AM EST. It is available before in the February 12th issue of Prince William Today on sale at these retailers beginning this Thursday, February 11th in the afternoon. Two weeks ago we had 24 or more inches of snow dumped on us as the Blizzard of 2016 blasted through our area. And just the past weekend, temperatures soared into the 60s. But let’s focus on those 24 inches of snow. We may not have another snowstorm again this year. However, with climate change, past winters are no longer reliable indicators for how often we will get major storms. We will have it again, and maybe even more next time. 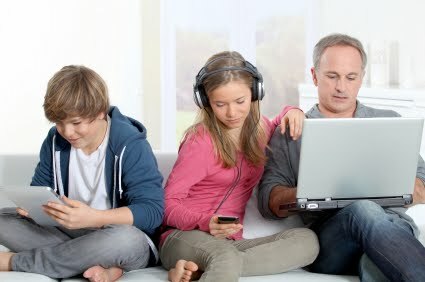 This column tends to focus on the high-tech and new technology for the family. Unfortunately, there is little high-tech snow-removal technology. You’d think with MIT being near Boston, those guys would come out with some sort of magic-beam gun to send the snow far away – but alas. We finally bit the snow bullet in our home and went with the tried-and-true technology for removing snow, a snow blower. I’d love to say we researched them carefully and negotiated with multiple vendors before choosing the one we wanted. Nope. We went out Wednesday night before the storm and bought the only model we could find at the nearest Home Depot that had them in stock--up in Falls Church. As we left Home Depot it took us more than three hours to get home since the falling snow caused havoc on the untreated streets and highways. That was the storm before the blizzard. However, we didn’t do too badly for a last-minute purchase. We ended up with a three-stage unit with power steering, headlamp, heated handgrips and electric start. Snowblowers are not a luxury in the kind of snow we just had. They can save the lives of those who might have a heart attack from the great exertion of moving two feet of snow by hand. And they can save backs. A few-hundred-dollar expenditure dwarfs the cost of back surgery, lost work and therapy. My wife insisted we buy one, as she did not want anything to happen to me or our son. Thankfully I came to understand this in time. The big feature of a snowblower is the number of stages it has. They can be a one-, two- or three-stage machine. A single-stage uses one action to pull the snow into the machine and throw it out again. A single-stage unit is always electric. It is appropriate for sidewalks and short driveways with only a few inches of snow. Electric snowblowers come in cordless and corded models. With a corded model, you have to be sure the cord you are dragging around behind you won’t stiffen in cold weather. The cord you already have for your electric leafblower may not be appropriate. Gas-powered blowers come in two- or three-stages. A two-stage has one set of augers that pull in the snow and another set to throw the snow. It can handle more snow and throw it farther. The blizzard we just experienced required at least a two-stage to be effective. A three-stage is a bit of a two-stage on steroids. It can move more snow and throw it farther. My wife affectionately named ours the Snow Beast. Snowblowers come in widths from 21 to 45 inches. A wider one requires fewer passes down your driveway, but be mindful of the storage space needed in the off season. I estimate that five minutes of snowblowing was about one-man hour of shoveling in this recent blizzard. I probably used it for two hours during this blizzard. The potential work it saved me pains my back just to think about it. My father bought a snowblower while I was in high school. After doing our driveway, I’d do others’ driveways for $5 if I could do it sometime during the day. If they needed it done right away, I charged $20. This was in 1970s dollars. So, lease that blower out to your kids and you may recoup your expense fast. My day job requires me to be on the snow-lined streets from before sunrise to mid-morning so I was impressed by how well the school district handled the snow closures this year. This was too much snow to simply push aside with a plow, so running a blade down a street did not make the street bus-ready. Front-loaders had to come in to physically pick up and move the huge piles of snow. As the area puts the Blizzard of 2016 behind it and the Snow Beast is stored for the winter, I know I am ready for the next one, whenever it comes. Added 2/6/2016: A friend wrote this cautionary tale about snowblowers we should all heed. This column will appear online Saturday, February 6th, 2016 at 9 AM EST. It is available before in the February 5th issue of Prince William Today on sale at these retailers beginning this Thursday, February 4th in the afternoon.